The bun hairstyle is in right now. Men hate it. Busy moms love it. Lazy ladies love it. Successful women love it. You love it. Who cares that guys hate it? Bun hairstyles are so different and so beautiful that it’s hard to resist the temptation to try at least one bun hairstyle idea today. 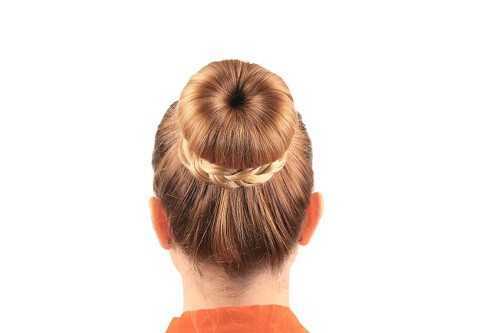 Bun hairstyles always look fabulous, fresh and can be changed each day. Just because men dislike buns doesn’t mean we, girls, should rock waves and curls only. Whether you have medium length hair or long hair, give these bun hairstyle ideas a try to look awesome at school, in the office, and even on a date. Gone are the days when only little girls wore donut buns. Nowadays every woman can rock this hairstyle without feeling ashamed. While this bun hairstyle isn’t the best idea for your date, especially the first one – I don’t know why but most guys think that shy girls wear donut buns, it’s great for work, travelling and exercise. Who doesn’t want to look stylish during the workout?